Be Reasonable: Let's Stop Saying "Eliminate Pay-to-Play"
Can we talk about Pay-to-Play for a moment? Can we be rational and realistic about the financial model youth sports is based upon and stop calling for an end to Pay-to-Play? Can we pause, reflect and recognize that it is impossible to end Pay-to-Play for organized sports? There are field costs, coaching and club management costs, insurance and uniform expenses, referee fees, not to mention registration fees payable to organizing bodies. Without significant federal, state or local government funding for youth sports, unrealistic U.S. Soccer support, and local businesses anteing up and sponsoring youth sports organizations – there will be a fee to play organized youth sports. 1. Pay to Play and Accessibility are not the same issue. They are concentric circles with a bit of overlap – but we must stop confusing the conversation by making them the same because Accessibility is too important of a subject. 2. With better national leadership focusing on reforming and improving the youth soccer culture – we will reap positive cultural improvements that will result in tackling some of the prevalent issues rampant within our current Pay-to-Play model. 3. The geographic size of our country presents some real and significant roadblocks to lowering the cost of our top youth talent to compete based on travel expenses alone. 4. When we discuss making youth soccer more affordable, we are talking about completely altering the financial model most of our clubs are reliant upon to remain a viable business entity. We have seen tremendous growth in recent years since the advent of the DA (boys) and the ECNL (girls) when it comes to the level of play and the skills and abilities of our most talented youth players. However, we have made the assumption that this growth and improvement is directly related to the national structure of the competition instead of the increased quality of the coaches and the daily training environment these talented and committed coaches have established. We need to step back and ask ourselves if National Leagues, where players and their families are sometimes traveling 400 miles to play two league games over a weekend, staying in hotels for two or three nights, missing a day or two of school – are necessary as coaches improve and training standards for our most talents players continue to improve. An alarming number of parents believe their 11 year-old child will get a scholarship to play soccer in college or will make the National Team. We need strong national leadership, club leadership and coach leadership refuting this misinformation and clearly reframing and defining the overarching mission of youth soccer: to inspire players to fall in love with the game so they reap the health benefits of an active lifestyle while learning valuable life lessons while becoming fans for life. As organizing bodies, leagues, clubs, and coaches we have facilitated this fallacy by not actively refuting it and we have not worked hard enough to lead and guide parents, and provide them the necessary perspective about the pathway their child is traveling because our financial models and competition structures depend on participation. How can we change our competition and development structures and systems so they serve all players based on their athletic potential and mentality? Tournaments provide essential revenue to clubs to offset operating expenses and salaries. The festival type atmosphere of tournaments can produce life-long memories, parents and players can bond in the hotel and over meals, and tournaments can be a wonderful and fun way to begin or culminate a season. At the older levels, tournaments present an important opportunity for colleges to evaluate and recruit players. But we can’t ignore the fact that tournaments also form the foundation of so many of the problems we face in the youth game: too much of a focus on winning, the structure is often not in the best interest of the player’s health, travel is often extremely expensive, and they encourage and embolden youth soccer rankings to flight them. We need our national leadership to establish best practices and standards related to tournament participation so parents have some guidance. There is no way around it – if we want to pay less to participate in youth sports, we are going to have to rethink our tournament model. If we rethink our tournament model, we are going to have to rethink our club structures. There has been a clear move away from volunteer led clubs to paid coaches and staff as we have established a more professional environment for our youth players. This has lead to an increase in expenses that need revenue to balance them. The club salary expenses are largely being covered by fees from parents and tournament revenue. If we want to lower the amount we have to pay to play, we need to do everything possible to decrease club expenses by replacing staff with volunteers when possible. There will be affects of doing so clubs will have to address. Paying $100 for a meal that turns out to be average will usually result in a feeling of frustration – especially if the service was poor. This is what is too often happening in our youth soccer environments. Parents are paying too much for an average developmental environment where too much focus is on winning and the coach does not have the level of integrity parents should demand of people so influential in their child’s life or the soccer knowledge worthy of the fees being paid. We need our youth soccer leadership to define coaching standards that parents can hold clubs accountable to that are rooted in coach integrity and behavior, and secondarily focused on the technical and tactical side of the game. These higher and defined standards will result in an improved youth soccer culture – which will in turn trickle down to reform at all levels, including Pay-to-Play. We need to recognize that it is a challenge for U.S. Soccer to lead in these conversations as they have placed themselves as competitors to the US Youth Soccer and U.S. Club soccer with their management of the Developmental Academy. We therefore need US Youth Soccer, U.S. Club Soccer and U.S. Soccer to work to establish balance and boundaries in their relationships, allowing stronger coaching standards with a focus on character development to become a priority. There is not a simple solution to Pay-to-Play. It can’t be solved with the U.S. Soccer reserves and should not be confused with Accessibility. Changing Pay-to-Play means Changing Culture. Cultural change involves parents, coaches, administrators, directors, and leaders all being willing to change and rethink our youth soccer behaviors, norms, and environment. I regularly hear from parents who are fed up with our youth soccer structure and environment. Parents who are wondering if it’s okay that they don’t want to pay $1900 for their 16 year old daughter who is an average player with no aspirations to play at a higher level to play soccer. Parents who don’t see value in their family paying a total of $2200 for their 11 year-old son to attend a tournament 6 states away. Parents who are disappointed in paying $850 for their 8 year old to play, especially when the coaches are not qualified and there is too much of an emphasis on winning. And reform starts with us making sure our national leadership knows we want them to more actively lead the youth soccer landscape and effectuate cultural change. Any solution such as lengthing and improving school or community based programs involves less money to those in the business of soccer, so it’s unlikely to ever change. The worst example of the business of soccer are USL pro teams which use youth programs to fund pro teams. Exactly the opposite model is used in the rest of the world. In England and Germany the costs are low because youth coaches have normal day jobs and volunteer as coaches for the love of the game.. In the USA too many coaches want to make a career of coaching at the expense of youth and parents. Perfectly stated! I too have been very frustrated with how often “pay-to-play” was batted around during the recent election as if it was somehow a choice for clubs! The concept of accessibility IS critical and very different from the problems associated with our current model as you stated. I cannot help but think that if there were more women coaches in the current club system and more women DOC’s, that maybe the present culture would evolve to better align with the sport’s overarching goals–love of the game. Locally, for the paid coaching model field costs represent ~ 1/3 of the fee … 1/3 goes to the coach as salary, 1/3 to the club. $2000 – $3000 team fee is normal. Additionally, too many players are encouraged to pursue levels that are higher than needed or appropriate. So these clubs have a grabby train …. too many teams, for example an A, B and C (and even D) at U10 playing at these high levels. Lower level teams are paying too much play, with little to no value since they must play to win (vs. develop) to justify the cost. Or worse, to fund the A team. Usually, too late families get frustrated with little to no playing time and leave or quit the sport altogether. We see this far to often, unfortunately. Been a volunteer coach for over a decade. Got the licenses but never felt right charging fees. I am old skool that way. Anyway, I have been able to groom a community team and got them to the top divisions of EDP and ERL. For the most part, the parents trust the path we have taken to get there and realy appreciate the minimal costs per player. I think this team has proven that it doesn’t take $4000 plus per kid to create a high level, competitive team. However, our days our numbered because some parents drink the koolaid offered by the super clubs who have coaches at D1/D2 and D3 schools. They make the koolaid and the parents lap it up like a crack-head hittin’ the pipe. So, we loose our better players and they get onto a great team with a roster of like 24 kids. Soon, they are just a number and end up spending a lot of time on the bench paying the same amount as the starters. Funny, parents leave saying they want to be in top flight showcase events so their kids can be seen by college recruiters but if their kid is riding the pine, not very good exposure. The volunteer issue is a tough one. As long as you have money in the system, people will want to be compensated for their time. AYSO United has recently entered the club world. 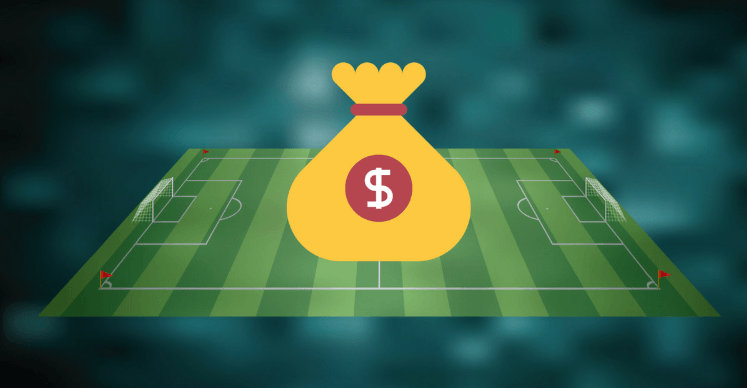 Their fees tend to be lower (but not always and not always by much) than other clubs in part because they can fall back on the AYSO administrative structure and field deals. Competing in the club world, they now have to pay for refs. But it’s interesting now that many of them are paying their coaches, trainers and DOCs. And that trend is likely to continue: when competent parent volunteer coaches look over at the neighboring region and see other coaches getting paid, They’ll wonder why their time isn’t being compensated either. With this shift in AYSO, the pendulum is shifting the other way away from volunteerism. You have nailed it I have tried to explain this to many people since October and the recent unpleasantness (ie not making the WC Russia). The fixed costs are the driver, this last year at the club I am Director for we spent $80,000 on the fields, fixing some major issues that were caused by a volunteer field maintenance guy over a 6-7 year period this was not part of regular maintenance which is close to $50,000 per year. We have been tying to find alternate sources of funding sponsorships etc, but again to try and get this amount covered by sponsors is tremendously hard. We also give out presently 10 travel scholarships that range from $1375-300 but it’s close to $8,000 we also give out 15-20 recreational scholarships which can range $95-200. Around another $2000. We suffer with the volunteers, we have plenty that want to help but when rubber hits the road they run away or just try and throw money at the situation but that doesn’t always work. Anyway thank you for this article you real did hit the nail on the head. You nailed it! Re #5 would be great if trainers can hold kids to high standards on and off the field, regardless of their in-game performance. 8-12 year olds should not be quitting a team because they can’t “handle the pressure” or because of negative team behaviors that are tolerated.